Your high school years are some of the best years of your life, and there’s no reason to let braces affect that! Going back to school with braces means having to add a few more steps to your daily routines to ensure you care for them properly, but it certainly doesn’t mean your life is over. So, how do you incorporate the added responsibility of maintaining your orthodontic treatment during school? Brace care requires a few different tools to keep them clean and prevent tartar buildup on them. You should be sure to bring a toothbrush, toothpaste, orthodontic wax, floss, and lip balm with you at all times. You can keep all of these things in a pouch or something similar in your backpack so they are convenient to use. Also, rinsing your mouth out with water after a meal is a good idea if you can’t brush them immediately, but be sure to brush them as soon as possible after every meal. Braces are really great at collecting food and cleaning them often is crucial to your oral health. Sadly, you cannot eat everything you want to eat with braces, but your limitations are very manageable. You should be sure to avoid munching on chewy, crunchy, sticky, and hard foods, as well as foods you have to bite into, like corn on the cob. That sounds very limiting, but it’s not, we promise! You’ll get used to avoiding certain foods quickly and it will be that much more satisfying when you complete your treatment and get to indulge in those delicious snacks again! You might be nervous about what your friends will think about your new fashion accessory, but fear not! No one is going to care about them as much as you do. It’s very common to go through orthodontic treatment during school, so you will definitely not be the only one. You should be immensely proud of the fact that you’ve started the journey to a beautiful smile. In the meantime, show off those braces! Smile big and smile often until you complete your treatment. We have a feeling that after your treatment, you won’t be able to stop smiling! Keeping up with your orthodontic appointments will go a long way in your treatment going smoothly, but coordinating with your school schedule might be a little difficult. Appointments have a tendency to book up fairly quickly after school hours, and you might have other commitments during your after-school time that inhibits your ability to schedule an appointment. 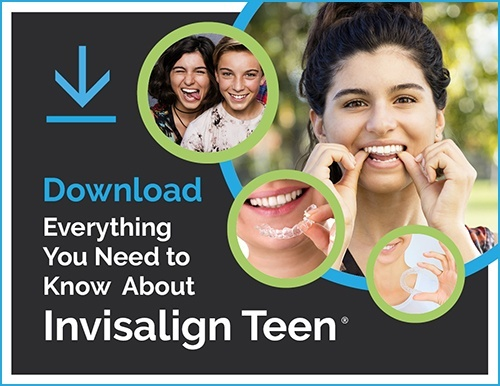 You might have to miss some school to get in to see your orthodontist, so you should make sure you’re aware of your school’s policy on missing class. You also might have to make other sacrifices occasionally, but the end result will be absolutely worth it. Going back to school with braces can be daunting, but don’t be nervous! Everything is going to go much more smoothly than you expect, and you’ll get the hang of dealing with braces at school in no time!